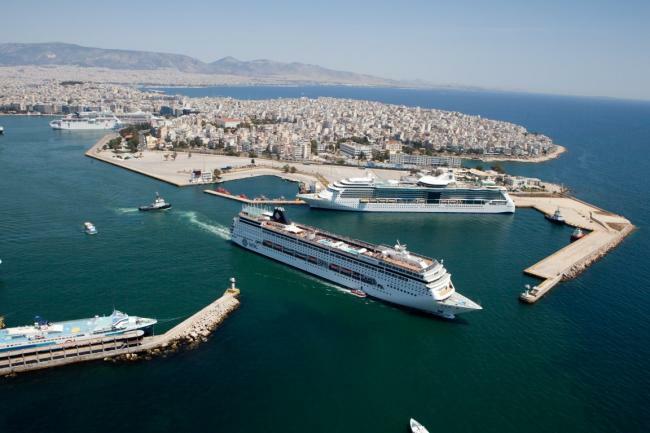 The Piraeus Port Authority announced its ambitious plans to expand its services and become the major cruise hub in the eastern Mediterranean. The announcement was made at the fourth Posidonia Sea Tourism Forum in Athens to an audience comprising the sector's major international operators. The plans of the Port Authority (now managed by the Chinese COSCO group) include building four new mooring slots for cruise ships at the southern side of the port with the aim of receiving vessels of up to 390m in length, the construction of a luxurious hotel and shopping centre, and entertainment and food service spots. This would see the port take on a leading role in the Mediterranean and become a major player in the booming Chinese passenger market. Meanwhile, and despite the ongoing crisis, Greece is keeping its leading position in the global shipping industry. On the contrary, the Greek-owned fleet has been expanding since 2010, accounting for 23 per cent of the expansion of the world's fleet. According to leading shipbrokers Clarksons Platou, Greek shipowners have taken advantage of the global financial crisis, acquiring ships at lower prices in order to renew and strengthen their fleets. Making the most of their strong cashflow, they have acquired up to 89.3 million gross tonnage (GT), since 2010, out of a total addition of 391 million GT to the global fleet. This signifies a growth of 74 per cent for the Greek-owned fleet in the last seven years, while 196 ships with a capacity of 20.6 million GT are still under construction. Further proof of the significant growth of the Greek-owned fleet comes from the Greek Shipping Cooperation Committee in London, which stated that the number of Greek ships with a capacity of more than 1,000 GT each numbered 4,085 in March, with a total capacity of 192.43 million GT.